Welcome to the St Matthews KY neighborhood, Bellewood. Bellewood is accessible from Chenoweth Lane or Hubbards Lane. This neighborhood is very well-established and conveniently located. 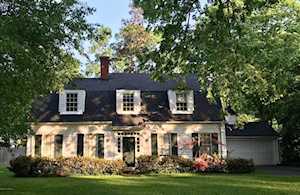 Homes in Bellewood range from $220,000 to $500,000. The majority of the homes in this neighborhood were built in the 1930s and 1940s. Cape cod style homes are the most predominate style of home in this neighborhood; however, there are a few two-story and ranch style homes. Homes in this subdivision are mainly brick but some are vinyl or stone. Lot sizes are between 0.14 to 0.63 acres. One feature you will likely take notice of is the beautifully manicured landscaping and mature trees in this neighborhood. The owners of these homes really do seem to take pride in their homes. If you would like to learn more or have any questions about any of these Bellewood homes for sale, or others in the zip code 40207, just click the "Request More Information" button on any property detail page. Our team can provide you with past sale information, comparables, disclosures, PVA assessment, and tax information – we would love to assist you with your real estate questions. Click the map to the left to view each home for sale in Bellewood. There is a satellite view button in upper right. Above grade square feet in Bellewood homes are between 1,000 to 2,000 square feet. Some of the homes have basements but not all do. Two to five bedrooms and one to three bathrooms is usually what you’ll find in Bellewood. You will find that some homes have been completely updated. At the same time, there have been a few that have sold that need some work. Because Bellewood is in Saint Matthews, it is convenient to many places around Louisville. Both Mall Saint Matthews and Oxmoor Mall are only two miles away from Bellewood. There are also several clothing boutiques scattered throughout St Matthews. For grocery shopping, there is a Walmart, Target, Kroger, Trader Joes, and Whole Foods in St Matthews. Saint Matthews has an abundance of dining options. Red Lobster, Lonnie’s Best Taste of Chicago, Bluegrass Brewing Company, First Watch, Wild Eggs, Aspen Creek, Simply Thai, Café Lou Lou, Coals Artisan Pizza, and Chuys are just a few of the many restaurants in St Matthews. Bellewood is in the Jefferson County School District. The following schools are nearby Bellewood: Chenoweth Elementary School, Breckenridge/Franklin Elementary School, Field Elementary School, Westport Middle School, and Waggener High School. If you prefer sending your child to private schools, the following schools are near Bellewood: Walden School, Holy Trinity Parish School, Holy Spirit School, and Christian Academy of Louisville- Rock Creek Campus. 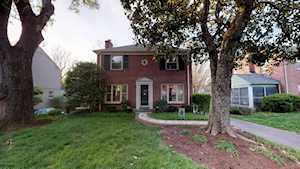 Our team updates this search for Bellewood homes on a daily basis from the Louisville MLS. 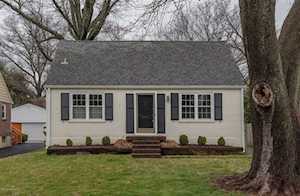 The Hollinden Team has helped many buyers find their dream home in St Matthews. Check out the Hollinden Team reviews to hear what our clients are saying about us.